I was a little worried with this sequence and whether I’d be able to convincingly and clearly depict the action of a ship suddenly rotating along its axis to be perpendicular to its previous route of travel. But I think it came out well. I think it’s the subtle arcs of the bottom thrusters that really makes it work. 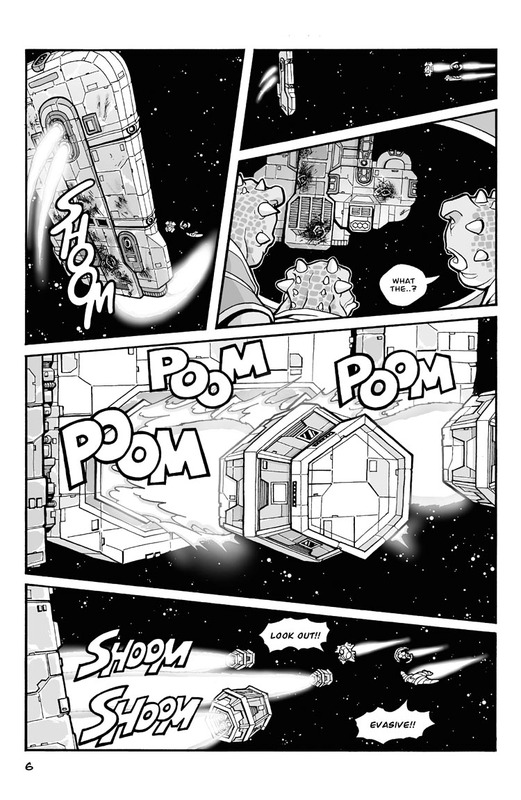 heh… reminds of that bit on The Expanse when that Belter captain the Martian Marines kept harassing because “we have guns” tossed a full load of mined Asteroid from his freighter at their corvette and utterly trashed it. a smart and pragmatic enough person can weaponize anything.